Mice are often perceived to be less dirty than rats, it is assumed that they carry less disease and cause far less damage. However, in reality, the reverse could be said to be true. 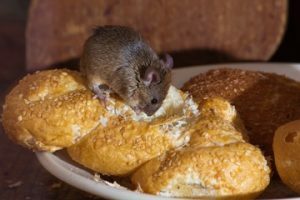 Unfortunately, their natural and constant gnawing habit can lead to expensive damage to your property and whilst mice are less visible they able to produce in the region of 30,000 droppings and 0.75 litres of urine a year. Therefore it should never be forgotten that mice pose a real threat to public health and hygiene. Mice can prove to be more difficult to manage than rats. Taking into account that a female mouse and her offspring can produce 15,000 mice per year with mice leaving behind droppings, urine and hair strands wherever they travel invariably contamination will occur. Mice can commonly be carriers of Tapeworms, Salmonella, Lymphocytic Choric Meningitis and Murine Typhus. Therefore whilst many people have a much more relaxed attitude towards mice, in real terms mice have the ability and potential to spread disease much further. Year on year the number of rodents increases and this situation is exacerbated by the fact that resistance to many of the traditional baits is becoming apparent. The House Mouse, (mus domesticus) originated from Central Asia. As early as the 9th-century mice have been found in this country. 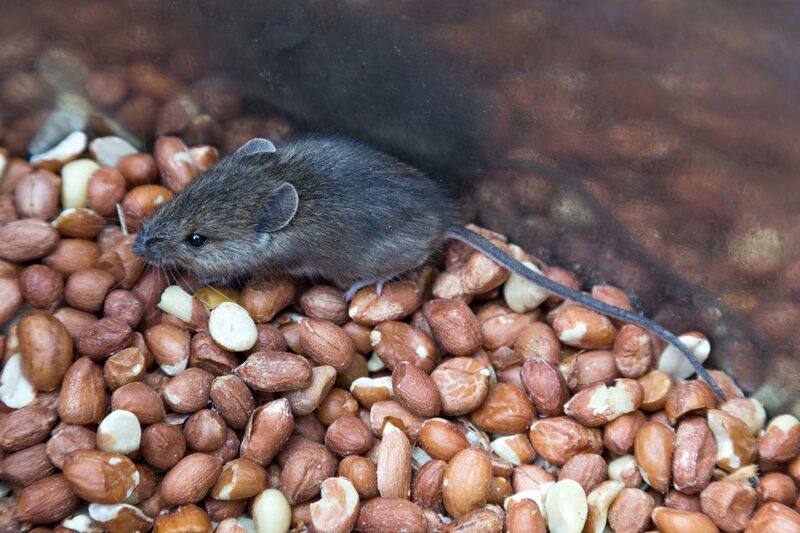 The House mouse will drink water if available but can survive on food with a moisture content of 15%. Mice are omnivorous and the signs of a mouse feeding are quite distinct from those of a rat. Whole wheat for instance which has been partly eaten by mice has a kibbled appearance. However, whole grain, partly eaten by rats will have a cut or chopped appearance. The House Mouse is brown to grey with a lighter underside. The ears are large and the eyes small. The tail is slightly shorter than the body length. The Adult will weigh between 10 – 25 g and has between 5 and 8 litters per year. The litter size being between 4 and 8 and maturity is reached between 6 and 8 weeks. The House Mouse is brown to grey with a lighter underside. The ears are large and the eyes small. The tail is slightly shorter than the body length. The Adult will weigh between 10 – 25 g and has between 5 and 8 litters per year. The litter size being between 4 and 8. Maturity is reached between 6 and 8 weeks and the average lifespan is 3 – 4 months. N.P.C. BPCA (British Pest Control Association) certified surveyors work with clients in regard to assessing their premises. Our survey process identifies points of entry and enables the surveyor to advise on both eliminating the infestation and where required proofing methods to avoid further situations of occurrence. The best way to deter mice from entering a property is to identify and block entry points. Mice possess soft skeletons and the best way to deter mice from entering a property is to identify and block entry points. It should be remembered that as mice possess soft skeletons they are able to enter through gaps no bigger than a pencil. In addition with mice possessing the ability to climb certain vertical surfaces, it is important that high as well as low-level entry points are surveyed. Following the survey, our BPCA certified Technicians commence the plan of prevention agreed with your surveyor. The N.P.C. fully trained and experienced team of surveyors and technicians possess an extensive range of experience across both service and technical areas within the pest control industry working within all sectors including food processing, pharmaceutical, manufacturing and domestic premises. Call N.P.C. today to discuss ways for preventing costly damage to your premises.